As far-right candidate Jair Bolsonaro recently won the Brazilian Presidential elections, environmentalists around the world’s worst fears came to reality. Bolsonaro has been very back-and-forth regarding his policies concerning the Amazon rainforest, however, certain policies that he would like to make while in office would exploit the Amazon of its resources and force indigenous communities to leave their homes. Some experts say that there are limits to the extent to which Bolsonaro will be able to fulfill these policies that he plans on implementing. Regardless of what Bolsonaro will or will not be able to do to the Amazon during his time as President, his victory “has already bolstered a sense of impunity among criminal groups that traffic in timber, exotic species, and other riches pilfered from indigenous land” (Wallace, 2018). This new wave of criminal activity and Bolsonaro’s statements on the Amazon come at a concerning time, as the deforestation of the Amazon has reached an all time high within the past year. Satellite data has shown troubling images of the extent to which the Amazon is being destroyed. Between August 2017 and July 2018, deforestation had raised by over 13% since the prior year. In that time frame, more than 3,000 sq. miles had been destroyed, nearly 6 and a half times the size of New York City (BBC Latin America & Caribbean, 2018). The total forest loss between 1970 and 2017 was approximately 477,794 miles, which equates to almost two times the size of Texas (Butler, 2017). The Amazon rainforest is already in danger of losing more forest area based on historical statistics of deforestation, and if Bolsonaro supports the policies which he says, the results could be devastating for the world’s largest rainforest and the people, animals, and plantlife whose lives are interlaced with the well-being of the Amazon. Somewhere between 13 million and 20 million people live in the Amazon in indigenous communities (Butler, 2017). As one of the first human civilizations on Earth, the Norte Chico civilization of South America has relied on the Amazon rainforest since 3,500 BC. Since then, Indigenous tribes have lived symbiotically with the Amazon’s animal and plant life. In the past hundred years, these communities have been displaced from their ancestral homes, have lost a plethora of resources they had used to survive since ancient times, and some groups have disappeared completely. In May 2013, the International Union for Conservation of Nature placed 2,600 Amazonian animals on their critically endangered list, many of which are found only in the Amazon (IUCN, 2018). Although Bolsonaro will only be able to create policies directly affecting the people of Indigenous communities and animals in Brazil, his policies will determine the future of climate change and impact humans on a global scale. As the Amazon disappears, so too will all of its benefits. The Amazon is home to thousands of plants and herbs with under-researched medicinal qualities. Drugs used to help treat Malaria, Glaucoma, and Leukemia all have ingredients found in the Amazon, and many plants have potential to treat incurable diseases such as Cancer (Lohman, 2016). “25% of Western pharmaceuticals are derived from rainforest ingredients, less than 1% of these tropical trees and plants have been tested by scientists” (Taylor, 2004). Medicinal benefits of the Amazon aside, the rainforest is essential to all life on earth. Often described as the lungs of the planet, 20% of the Earth’s Oxygen comes from the Amazon rainforest (Taylor, 2004). Due to the extreme importance of the Amazon, Bolsonaro’s policies towards it will affect not only Brazil, but the world. Bolsonaro has explained that he intends to eliminate indigenous reserves and reduce penalties for deforestation. Similar to U.S. President Trump’s platform, Bolsonaro wants to dismantle Brazil’s Ministry of Environment, and pull out of the Paris climate agreement (Moran, 2018). Much of Bolsonaro’s rhetoric is very similar to that of U.S. President Trump. He claims that by decriminalizing the deforestation of the Amazon, Brazilian farmers will benefit. According to WBUR News writer Barbara Moran, Bolsonaro’s “policies are actually not good for farmers, just like Trump's policies haven't been good for American farmers. Trump’s changes to trade policy in the U. S. have been hurting farmers by restricting trade with China, and Bolsonaro actually had some similar denunciations of China” (Moran, 2018). 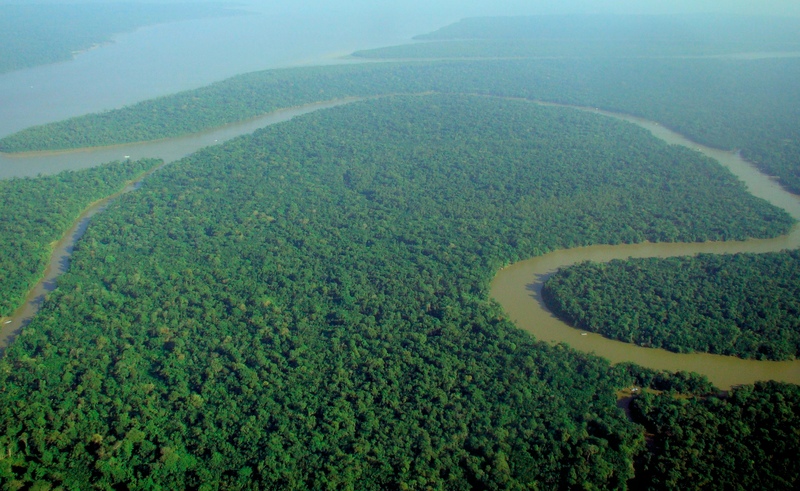 The Amazon rainforest plays a crucial role in preventing an increased rate of climate change. Though scientists fear that by 2036 climate change will be irreversible (Mann, 2014). Bolsonaro’s policies and decisions he makes as President will impact more than just the future of Brazil, but the future of climate change and the global effort to prevent irreversible global consequences. Scott Wallace. (2018 Oct 31). "Brazil's new leader promised to exploit the Amazon—but can he?". National Geographic. Retrieved Thursday, December 27, 2018. BBC Latin America & Caribbean. (2018 Nov 24). "Amazon rainforest deforestation 'worst in 10 years', says Brazil". BBC News. Retrieved Thursday, December 27, 2018. Rhett Butler. (2017 Jan 26). "Calculating Deforestation Figures for the Amazon". Mongabay. Retrieved Thursday, December 27, 2018. IUCN. (2018). "The IUCN Red List of Threatened Species". IUCN Red List. Retrieved Thursday, December 27, 2018. Julia Loman. (2016 Mar 31). "Medicinal Secrets of the Amazon Rain Forest". Amazon Aid Foundation. Retrieved Thursday, December 27, 2018. Leslie Taylor. (2004). "The Healing Power of Rainforest Herbs". Garden City, NY: Square One Publishers. Retrieved Thursday, December 27, 2018. Barbara Moran. (2018 Nov 8). "What The Brazilian Presidential Election Means For The Amazon Rainforest". WBUR News. Retrieved Thursday, December 27, 2018. Michael E. Mann. (2014 Apr 1). "Earth Will Cross the Climate Danger Threshold by 2036". Scientific American. Retrieved Thursday, December 27, 2018.